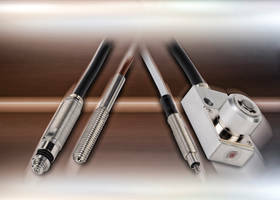 AutomationDirects’ Limit Switches consist of mini stopper and stopper bolt precision models. Units come with mechanical stop and limit switch function that eliminates the need for separate stop. 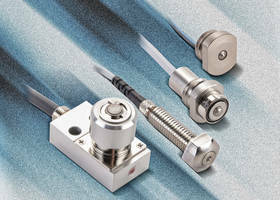 The stainless steel switches feature 10 micron repeatability and are suitable for precision indexing/positioning applications. 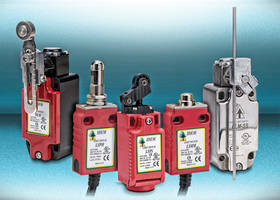 IN65 Series Limit Switches are IP67 rated. Featuring plastic body, metal mounting clip and actuator lock, IN65 Series Limit Switches can accommodate different multiple slow-action or snap-action contacts. Units are suitable for position monitoring, product control and safety applications. 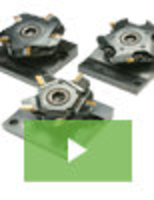 Ensuring switching reliability up to 1 mA at 5VDC, products offer 30 million mechanical cycles. 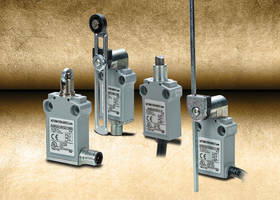 BP4SWA Limit Switches are made of stainless steel. 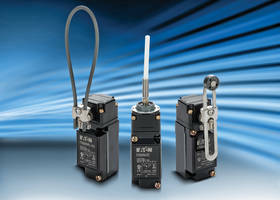 BP4SWA Limit Switches come in length of 12.8 mm. Available in 4 mm, 5 mm and 6 mm in diameter smooth barrels, units come in M5, M6, M8 and M10 threaded barrels. 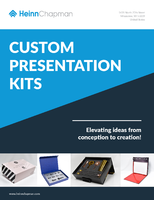 Offering repeatability down to 10, 5 and 3, products are designed in five precision versions. Switch’s smallest version uses core wire whereas larger model features 2m or 3m pigtail cables and LED indicators. 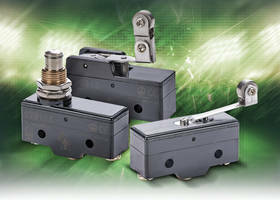 AEM2G Series Limit Switches feature epoxy resin filled die cast metal housing. Sealed Limit Switches feature integrated M12 connector. 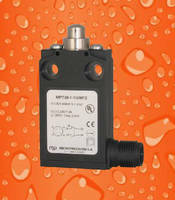 IP67-Rated Wireless Limit Switches operate without battery. Position-Indicating Switch works with hydraulic cylinders.